Murphree's Moments Photography: Spreading The Word- Kay Bratt Giveaway! I have wanted to do a giveaway for a few weeks now to help spread the word about Ruby’s Adoption Auction Blog, but I just couldn’t figure out what I wanted to giveaway. But this morning, it hit me like a ton of bricks! 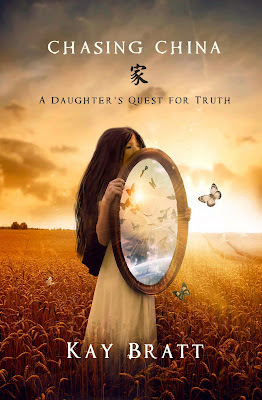 I have LOVED every second of reading Kay Bratt’s books and I have went on and on and on about them on the blog. So I thought, why not give away the books that have so profoundly affected me and the way I view my role as an advocate for orphans around the world? Then, I decided I wanted to give away two of her books: Chasing China and Silent Tears. I promise that after you read them you will not be the same person! 1) You must be a follower of Heart & Seoul. To hop on board, simply click Follow at the bottom of the blog. 2) Facebook about this giveaway. 3) Write a blog post about this giveaway. 4) Add the Heart & Seoul button to your blog. 5) Add Ruby’s Auction Blog Button to your blog. Please leave a comment for each entry. I will be choosing two winners via Random.org on Sunday, January 22 at 8:00 CST. 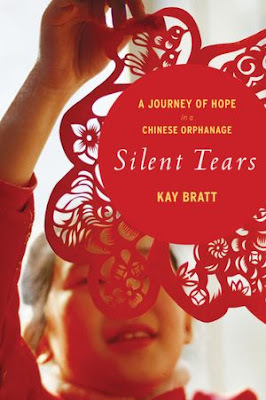 The first winner will receive the book Chasing China, while the second winner will receive the book Silent Tears. I am SO excited already for the winners! Thank you, as always, for being a part of our lives through our little corner of the web. XOXO!! LOVED both Kay Bratt's books (so no need to enter me in the giveaway)but I do want to help in your journey. I'm adding both of your button's to my blog. I also saw Amy's post today, she is so sweet, donating a piece of her beautiful art to help, you both are amazing!